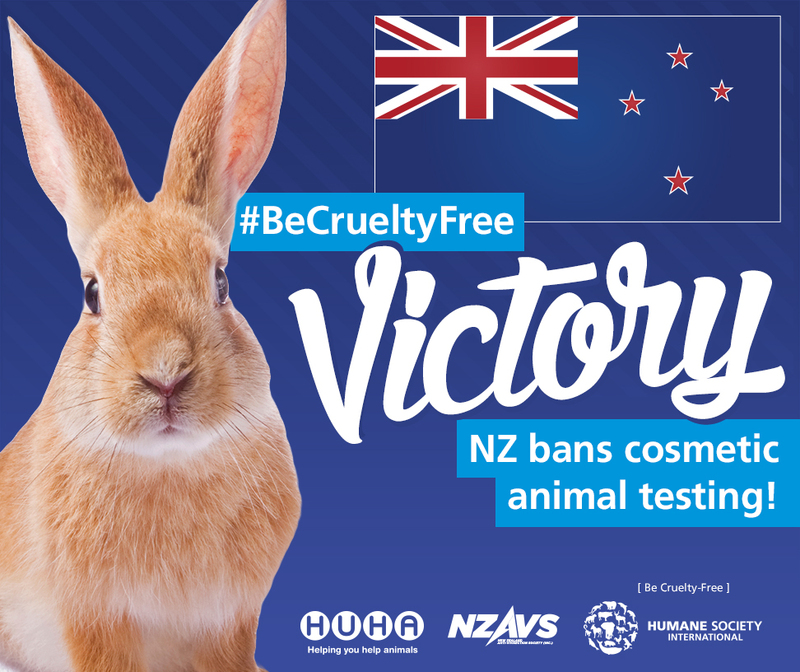 New Zealand recently passed a bill banning animal testing and other types of animal cruelty. Talk of banning animal testing around the world has posed as a controversial debate for decades between two different interpretations of the words “mankind was delegated to have dominion over the animals.” On one hand are cosmetic and pharmaceutical companies who believe that animals should be surrogates for human suffering, and on the other are those who realize that humans have the responsibility to protect the freedom and safety of anything living that cannot speak for itself. According to an article from Humane Society International, there’s an estimated 115 million animals that are used for testing and research purposes globally each year. This includes placing animals under physical pain and distress, with results that may or may not be applicable to people. The regulations on animal testing are also blurry and undefined, so the exact number of animals and the experiments used are oftentimes unknown and undocumented. Acknowledging this injustice, New Zealand officially passed the Animal Welfare Amendment Bill last month. The bill, complete with 61 new rules and policies that are split up into two different sections, covers all the new ways animals will be protected from abuse and it also allows easier prosecution against anyone committing animal cruelty. This, however, does not apply to cosmetic testing on animals where individuals are liable to imprisonment for up to 6 months and corporations can be subjected to a $125,000 fine. Other than the blatant unethical morals behind animal testing, the reasoning behind passing the bill is due to New Zealand’s recent assertion that animals are “sentient,” feeling emotional distress and pain similar to a human. In the past, it was believed that animals couldn’t feel compassion or sympathy, because for humans those emotions are not innate but rather imbedded in our society. However, according to researcher Frans de Waal, animals are actually born with a number of human-like characteristics like sympathy, altruism and sociability. Just like the rest of us, animals can feel joy and excitement, but they can also sense fear and distress in unusual or unfamiliar situations. They too feel physical pain while being poked, prodded, and injected with unnatural chemicals that often times lead to mutation, diseases, and even death. In this case, the animals’ worst enemy is not the hunters and scientists testing on them, it’s the apathy from everyone else doing nothing to protect them. It’s obvious to see the evil in animal testing and unnecessary hunting, but like any injustice, eradicating the issue requires a collective effort from everyone—not just government officials—to shift the societal perspective for good.